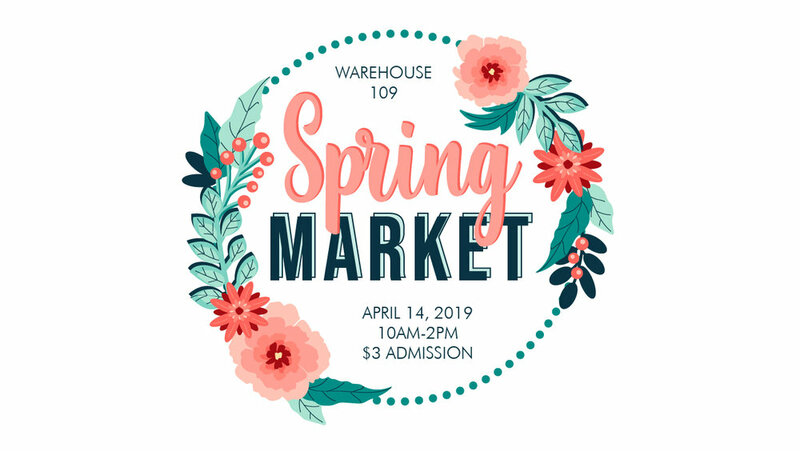 The annual Spring Market at Warehouse 109 is coming up soon on Sunday, April 14th! We are greatly appreciative to all of the vendor applications we received; it was extremely difficult to choose! Here are some of the vendors that will be selling their products at this year’s market! Amante Marketplace, meaning "one who loves", is a store that features products such as candles, blankets, baskets, rugs, and more! Handmade s'mores, gourmet marshmallows, grahams, and various mallow creations such as moon and whoopee pies are made in small batches by hand, with attention to every detail. Luxurious pastries to satisfy your sweet indulgences! Made from the finest ingredients with a European twist. An array of home decor items such as wood signs, marble coasters, and soy candles. Unique Air Plants that are beautiful to look at and easy to care for. Focused on creative and holistic living, this company sells handmade and vintage items including apparel, jewelry, decor, and essential oils. Gorgeous artwork and jewelry created by Jennifer Ann! All natural, non-toxic, sustainable candles for focus and relaxation. Beautifully handmade coasters with fun and interesting patterns for any home! Local, raw honey from a Romeoville farm! Signs created from worn wooden pallets that are perfect for gifts or home decor! Delicious homemade toffee with a thin toffee base, milk or dark chocolate with decadent toppings. A local Fashion Truck and online boutique for fashion-obsessed ladies! Carrying classic, contemporary, boho and trendy affordable pieces! Designed in the Windy City. Upscale resale shop in Morris, IL specializing in refinished furniture, knickknacks, and refinished cabinetry. Created by a midwestern massage therapist with a love for essential oils and hip hop. Each oil blend is handcrafted with certified organic essential oils and coconut oil. All while jammin to some hip hop beats. Custom made deco mesh and burlap wreaths for any occasion! Handmade, vintage wooden signs to decorate the walls of your home! Join the warehouse 109 mailing list! Thank you! Hope to see you soon!